It is the most intriguing and unique relic of its kind and the longstanding irony is – there are legions of professed Christians who have no idea what it is, or that it even exists. The Shroud of Turin is revered as the sacred burial cloth of Jesus Christ and is arguably the most important archaeological artifact ever found. 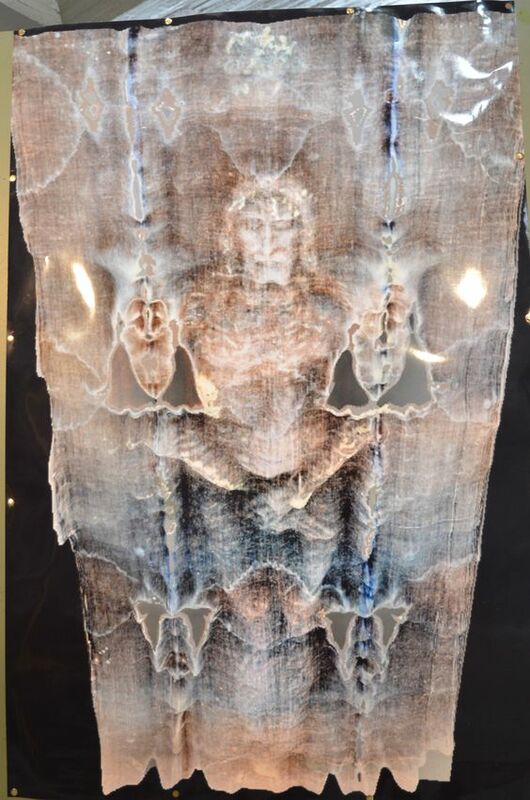 The image on the cloth is like a photographic negative exposed to light that is a detailed portrait of a crucified man. The historical specifics include the multitude of gashes from the scourging, the flow of blood, the presence of Pontius Pilate coins on the eyes, the wounds on the wrists and not the hands, the presence of a pony-tail running down the man’s back, bits of pollen that are unique to the region around Jerusalem are all remarkably accurate. Some believe the shroud is the work of a talented medieval forger, but how could even the cleverest of medieval fakers have managed to get so many details right and to have produced, in photographic negative no less, an image that no artist of the time was even vaguely capable of creating? For almost one millennium, countless Christians have venerated the shroud as the authentic burial garment of Jesus. The Catholic Church has never officially declared it to be the real burial shroud of Christ, although it does claim that this inexplicable icon is worthy of Christian devotion. For centuries, the shroud has been kept in the Cathedral of St. John the Baptist in Turin, Italy. Throughout the years after thousands of hours of scientific analysis, the shroud’s silent testimony of our Lord’s sufferings on the cross is finally being unraveled – to the scientific community. In 1988, the Church gave scientists permission to test a piece of the shroud using radiocarbon dating. The results showed dates ranging from 1260 to 1390 AD. However, other experts believed those findings were skewed because only a corner of the shroud was tested and such a sample could have been part of a medieval repair, or that it was contaminated over time by human handling, bacteria or carbon monoxide. More recently another team of researchers in mechanical and thermal measurement at Italy’s University of Padua conducted three tests on that same 1988 sample using infrared light and Raman spectroscopy relating to voltage. The results date the shroud between 300 BC and 400 AD, which is certainly during the time of Jesus. Moreover, the Italian Agency for New Technologies, Energy and Sustainable Economic Development conducted experiments over the last five years and reported that the total power of VUV radiations required to instantly color the surface of the linen that corresponds to a human of average height and body is equal to 34 thousand billion watts. Further, the image contains three-dimensional properties in the varying intensities of its shading. Do you subscribe to the oldest tradtional Catholic Newspaper in the world? Even with the marvels of all our 21st century technology, the image on the cloth can’t be replicated. Why is something that is 2,000 years old, so unreproducible? Despite what skeptics and critics insist, its authenticity remains scientifically plausible. As with any miraculous religious artifact, the shroud is certainly subject to plenty of doubt. The image clearly seems to depict Jesus wrapped in linen after being scourged, crucified, stabbed in his side and made to wear a crown of thorns. We live in a media saturated world where we communicate more with images than words. So why wouldn’t God preserve His son’s burial cloth for our time? There is a Shroud 2.0 app that is free for iPad and iPhone users and provides a close-up view of the shroud that affords people to zoom in on various sections of the shroud that would otherwise not be possible and read Gospel passages related to it. The image is physical proof of what happened during the crucifixion and resurrection. It is for humankind to appreciate, acknowledge and adore. In an Easter paradox, it is science that is finally catching up to faith. This new body of evidence favoring the faithful may not be enough to convince hardened cynics, which underscores the old adage that for those who believe, no explanation is necessary, and for those who don’t believe no explanation is possible.